Bang in the heart of Bengaluru, but far from prying eyes lies what could possibly be the world’s tiniest 18-hole golf course. Originally a rifle shooting range, this tiny 25-acre parcel of land ensconced in Indian Air Force’s Training Command was converted to a golf facility on the urgings of the late Ramakrishna Hegde, erstwhile Chief Minister of Karnataka. (In the 1980s, all shooting ranges were ordered to be relocated far outside cities, thus necessitating the makeover). An enthusiastic commandant improvised on the layout designed for shooters to provide shared fairways, greens, and tee-boxes with trees, mounds and water bodies to create an impossible-seeming 18-hole course which included 570-odd yards par 5. Yet, for all their astute improvisations, the military’s 160 golf courses are routinely rubbished. Of course, the army, to circumvent an objection to pouring money into golf courses, re-branded them as Environmental Parks and Training Area (EPTA). Actually, most of these courses are a legacy of Britain’s occupation of India. They are very poorly maintained. But the major criticism in golfing circles is that the army has done little to promote golf by way of tournaments for youth, academies, golf programmes, etc. Yet, for all the criticism, there is no denying the continuous supply of ‘army kids’ to the nation’s golfing success. The high-profile PGA golfers, 22-year-old Shubhankar Sharma and Anirbhan Lahiri, are by no means the first ‘army kid’ golfers. Jyoti Randhawa, Jeev Milkha Singh, Digvijay Singh and a host others too came from military families and had their initial exposure to the sport on army courses. The latest in this line of ‘army kids’ is the teenage sensation, Diksha Dagar, daughter of Col Narinder Dagar, himself a scratch golfer. 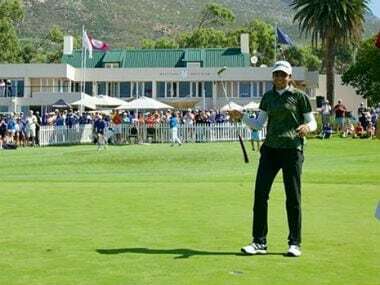 Diksha, 18, recently became the youngest Indian to win the Ladies European Tour title in Cape Town, South Africa and pocketed a cool US$ 140,000 for her efforts. Diksha who was born deaf was fitted with a cochlear implant which helps her to hear from close range. Her father always believed that the handicap would not come in the way of her becoming a world class sportswoman and thus exposed her to the joys of golf from a very young age. The army advantage of playing in a protected environment and without incessant pressure for playing time from impatient club golfers came in handy. She could afford to practice for long hours and hone her game, especially where striking the ball was concerned. “Army courses are usually hard surfaces without spongy fairways and soft greens that we get in well-maintained golf courses. The ball, therefore, runs a long way. Naturally, young kids are thrilled at the outcome and concentrate a lot on ball-striking,” said Nandan Heblikar who is one of the rare golf course designers and turf specialists in India. Lahiri and Shubhankar came through the same way, with Lahiri shifting to Bengaluru to train for years under renowned coach Vijay Divecha. Shubhankar got exposure to the American system at a very young age. Her father, who was on the bag during her Cape Town triumph, believes she has great ball-striking ability but requires technical help to further her game. Diksha met with international success at the age of 16 when she won a silver for India at the summer Deaflympics in Atakum, Turkey. When still an amateur, she won a Women’s Golf Association of India pro event which further underscored her potential. After this, recognition came fast and thick. She represented India with Anika Varma at the Queen Sirikit Cup team event for amateurs (14 nations. India finished sixth in the team event and Diksha fifth in the individual event). She also won the Singapore Open. Following this, she represented India at the 2018 Asian Games in Jakarta before setting her eyes on a professional career. She achieved pro status at the LET Qualifying School in Morocco. She also qualified to play the Australian Ladies Pro-Tour. The six events were a good initiation into the world of professional golf. She finished fifth in the last event to prove that she belonged here. This was further endorsed when she made history at the Cape Town event the following week. Diksha needs top class coaching to really carve out a name in pro golf. But the real challenge for India and Indian golfers to make a mark in the Olympics would be to get the army to put their shoulder to the wheel. Right now they are just sitting back and waiting for champs to land in their lap. Of course, like everything else in India, there is much politics at play. 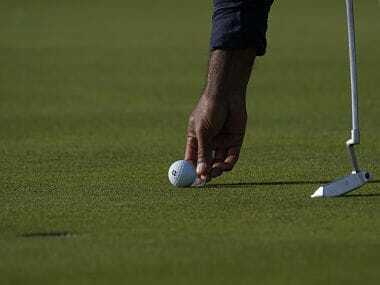 The military believes that with its many ‘golf courses’ (60 per cent of the golf courses in India are with the military), it should run the national body while others believe they have done precious little post-1947 to further the sport. They hold that the military’s role should be similar to that in other sports like cricket and football where they are bunched as Services. Until the tussle is sorted out, Indian golf might not get the boost it required ever since the sport was re-admitted into Olympics in 2016 (Rio de Janerio, Brazil). Diksha is the current toast of the nation, no doubt. But Indian golf and the big picture need urgent addressing.